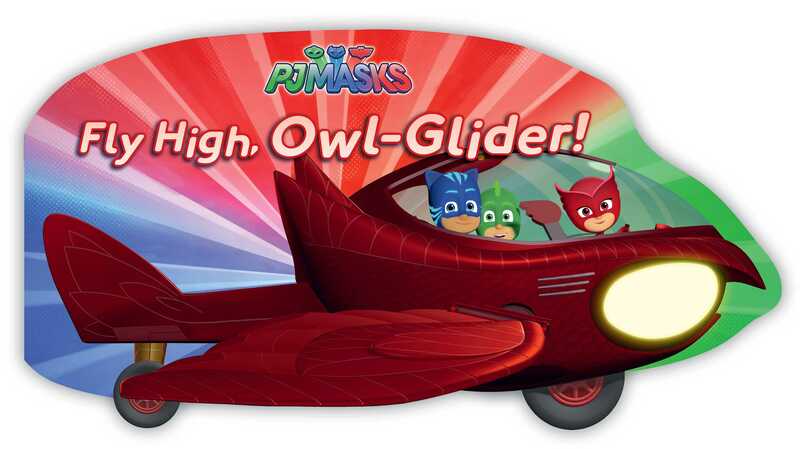 Soar toward justice with this board book shaped like Owlette’s Owl-Glider featuring wheels that really move! Get ready for high-flying fun with the Owl Glider. This engaging book comes with wheels that really move! PJ Masks are on their way, into the night to save the day! Look for the companion titles, To the Cat-Car! and Go, Go Gekko-Mobile! Book Cover Image (jpg): Fly High, Owl-Glider!